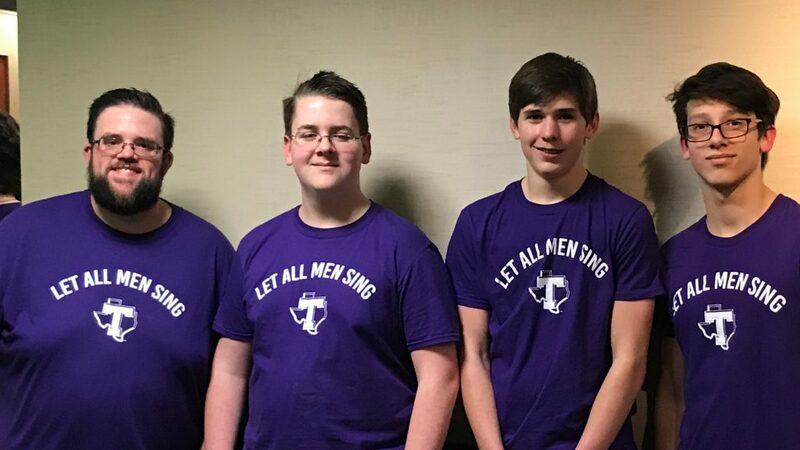 The GRHS Choir took a couple of their Men to sing in the Annual Let All Men Sing Event at Tarleton on February 8th. Students joined other males from high schools in the area to learn music and perform in concert in an 75 member Choir. This is a fun event for guys to get together and sing with guys from across our Area each year. Pictured are Mr. Teal, Salem Scoott, Colin Young and Nathan Massey.